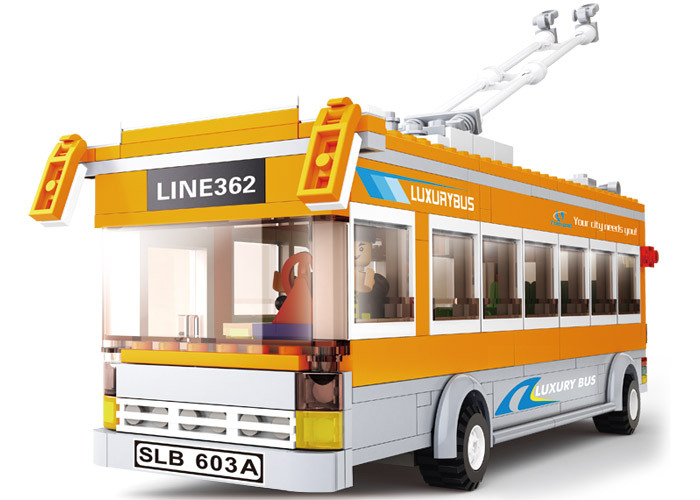 Educational Block Toys Bus Affordable Lego Toys Alternate Set M38-B0332 has been brought to Indian block toys lovers brand Sluban. 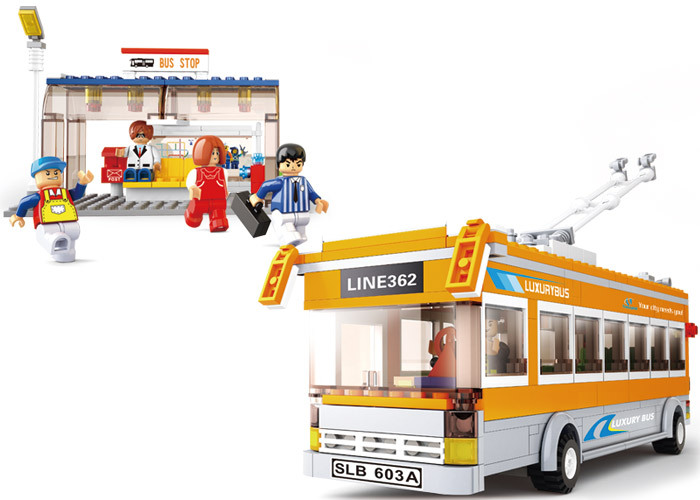 The brand offers unmatched quality of building block toys game at a high reasonable price. 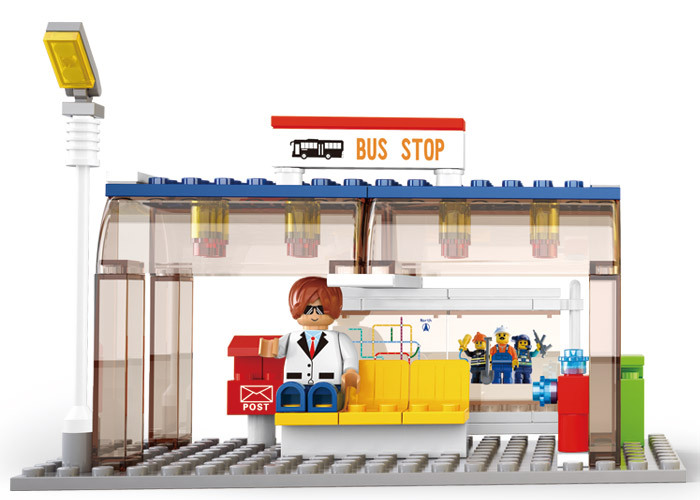 The brand offers better alternative for building block toys for kids. Theme based building block games introduced by Sluban is a great way to keep your child indoor and interestingly occupied. Exercise of assembling toys using blocks sharpens the cognitive and rotary skills in child. This set of Educational Block Toys toys, made of non-allergic plastic is available in yellow and light grey colors. This Town theme based game introduces the city commuting in a fun-filled way. 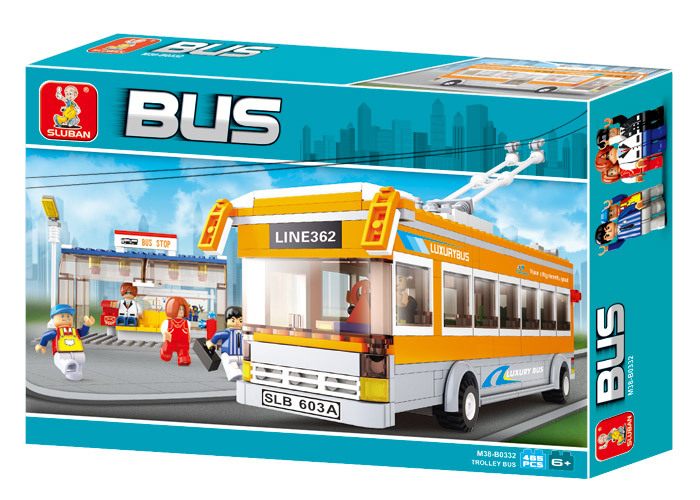 Children enjoy creating the bus and taking the building block toy commuters for a ride around the city.